I decided, since no actual wedding plans can be made yet, I'd start sharing some awesome wedding related posts/pictures/links I've found lately. So here's the first post! With Jesse and my long distance love story, I'm starting to think I want to include subtle little hints of travel inspired touches to our engagement party and potentially our wedding too - but not so that it's tacky! A long distance themed wedding or engagement party would be a little too much, but I definitely think the subtle touches could work! Our engagement party will be happening soon after Jesse finally comes home to Australia, so it will be a Welcome party too! 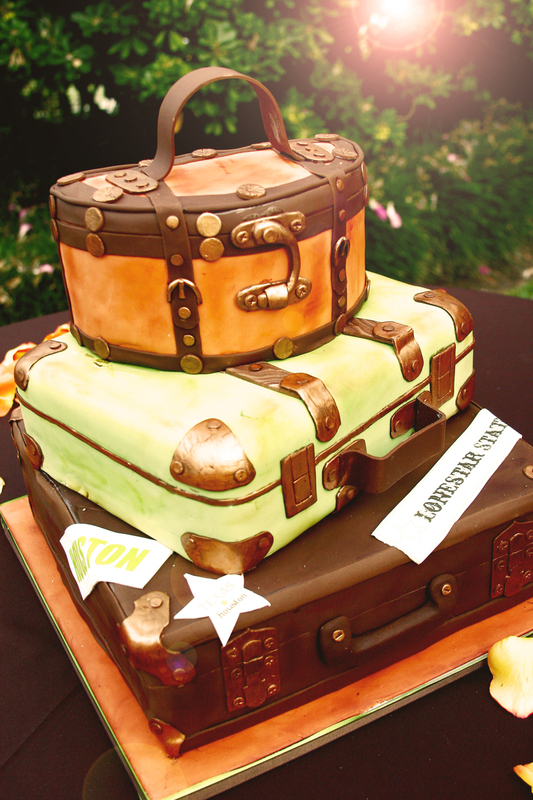 I really love this suitcase cake for an engagement party/welcome party cake! One of the things Jesse is adamant about is having a gluten free cake so that I can eat it. He loathes the fact that I'm always left out when eating with others because of all my food intolerances and wanted to make sure it didn't happen with our engagement party or wedding. I wasn't too fussed on getting a cake I could eat because I thought no one would eat it and it would be too hard to find someone to cater to all of my intolerances - but we found someone! Once we actually get to planning an engagement party and wedding, you'll be seeing a series of posts with Sweet Cheeks Cookies and Cakes and I plan to share the entire process with you - from the ideas stage to the very sweet ending! I love the above cake even more, just in a different colour scheme. It's simple and still elegant with a subtle hint of a long distance theme. 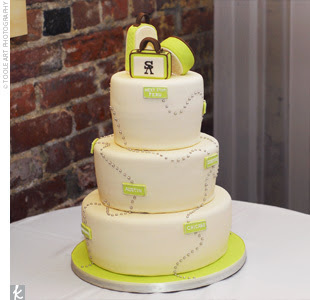 This would be the perfect engagement/welcome party cake - at least for the moment. Even simple little thank you gift tags using old maps would work! So tell me, are you a fan of themed parties? Do you like going all out, or keeping the theme subtle? I have done both when it comes to parties. I love having a theme to work with, it makes it so much more fun to plan! I was actually thinking of something like that for an invite! 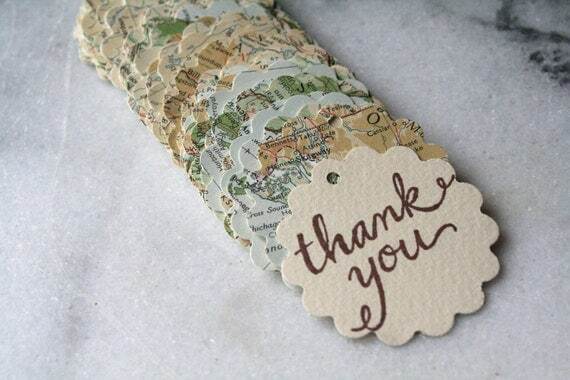 Love the idea of hints of travel, and those thank you card look adorable! I know, right? I need to find some good maps!